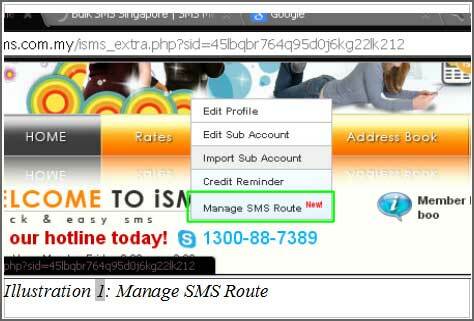 Bulk SMS Malaysia | Manage SMS Route - lowest price & most reliable Bulk SMS marketing tool, 2 way sms Malaysia, works with Bulk SMS Singapore, online sms solution, web sms marketing. 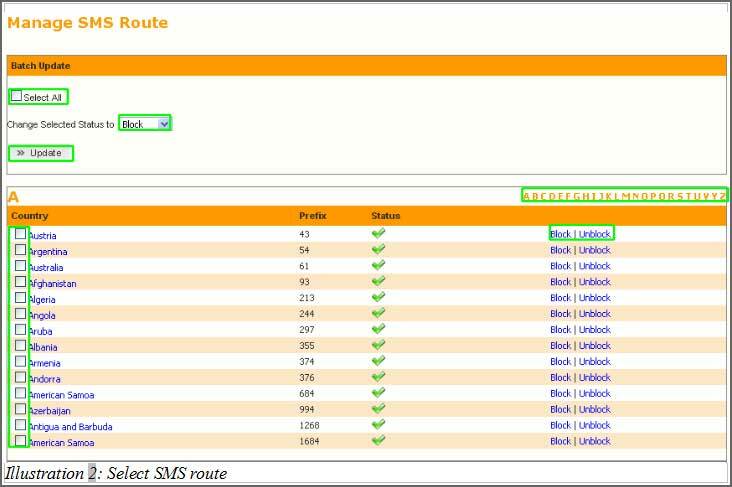 You can select "Profile" from the menu bar, then choose "Manage SMS Route". Select on the prefix you which you want to block or to unblock. You can use the select all to tick all prefixes and select on the status either to block or unblock. On top of that, you can tick one by one to block or unblock different locations differently. In addition, the side alphabet is for you to choose the country by name. For example, click on M to search for Malaysia. Lastly, click on update to block or unblock the country prefix.